It's the time of year for cookies and eggnog, family and coworker get-togethers ... and buying presents for people you know very little about. 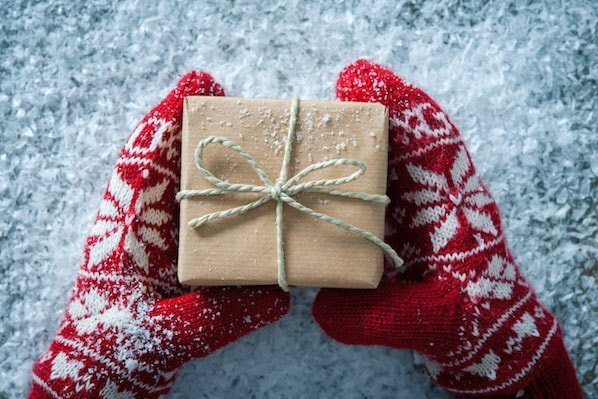 Did you pick the colleague in your work gift exchange who pulls overnight shifts by himself? Is Uncle Marty bringing his new girlfriend to your holiday party? Giving is not always nicer than receiving. We can't help you with everyone on your list (didn't your second cousin Pete say he liked golf once? A golf tie?). But we do have you covered if you're shopping for that special salesperson in your life. Any one of these presents is certain to bring a smile to a salesperson's face. You're welcome. This tactical pen is the Swiss army knife of pens. 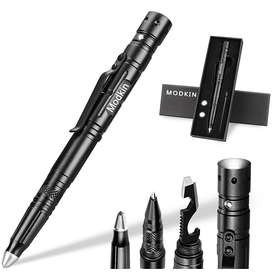 In addition to using it for, you know, writing, it also acts as a flashlight, bottle opener, and screwdriver. Switch from jotting notes to happy hour with ease. If you're on the phone all day, you really don't want to be holding a phone all day. A wireless headset allows salespeople to take calls and simultaneously scribble notes, check email, make dinner, or squeeze a stress ball for dear life. Get a stress ball like this one for the salesperson in your life. 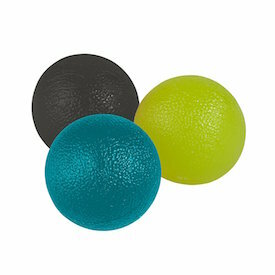 Bonus: These don't just relieve tension, they also strengthen your hands in the process. If you know a salesperson who's always wanted to kick off their own blog but just hasn't gotten around to it yet, this is the year to do it. Help them jumpstart the process by buying them an awesome URL from GoDaddy or HostGator. Savvy salespeople live on LinkedIn. They use it to research their prospects, keep up to date on their customers, and connect with opportunities. With a premium LinkedIn Sales Navigator account, reps can get additional insights on prospects as well as customized lead lists. Gifting this might just elicit some tears of joy. Bring a tissue. Give your favorite salesperson their own reading rainbow. 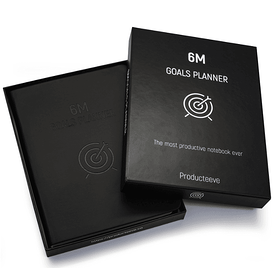 This goal planner journal helps sales reps get more done and feel better every day. Designed to keep its owner accountable, goal-oriented, and efficient -- this is the perfect gift for the go-getters in your life. And speaking of thinking on your feet, there's nothing more off the cuff than improv. 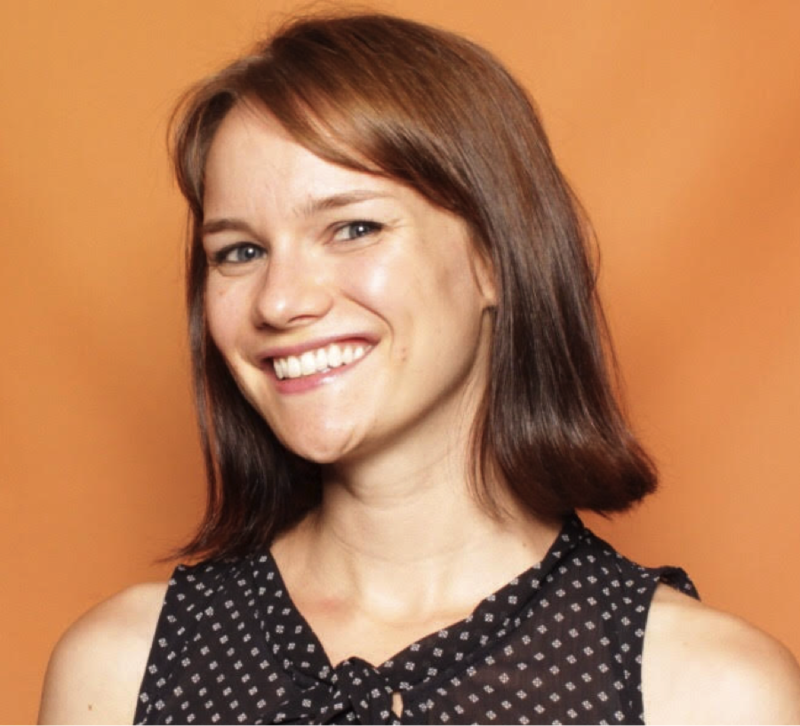 Most improv comedy theaters also offer classes to help professionals improve their communication skills. 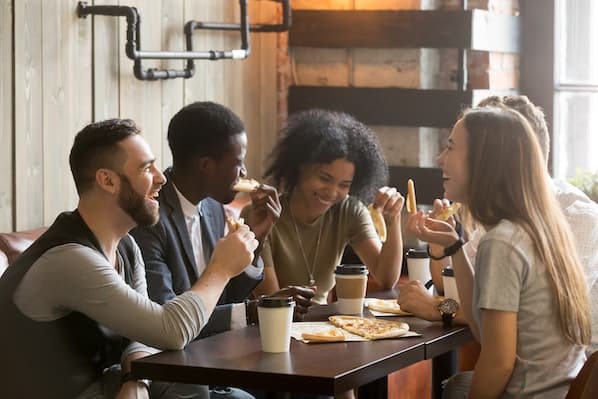 Not only will this training help reps deal with prospect objections, they can also be the entertainment at your next office party. Win-win. It's not always easy to keep a conversation going. At a total loss for what to say next? 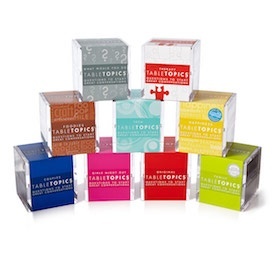 Gift a rep a deck of Table Topics cards, and they'll never have to scramble for a good question. Wherever you are, there your internet is. It's a beautiful concept. And because reps are constantly on the go, reliable internet connectivity is truly a necessity. 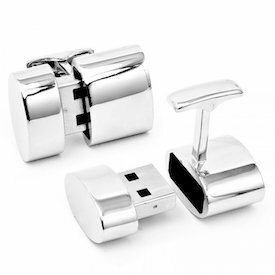 With these wi-fi hotspot cufflinks, there'll be no more stealing spotty internet from the hotel gym or coffee shop across the street. 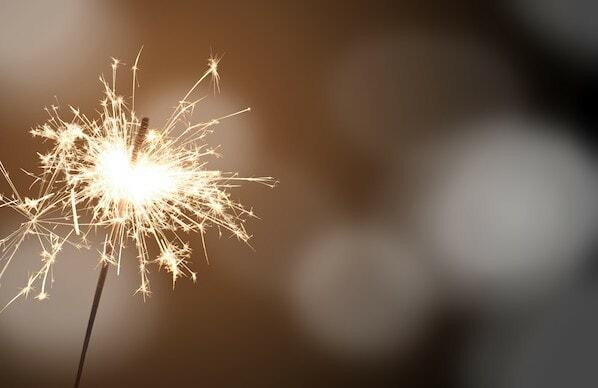 If you're in sales, you have to deal with a lot of rejection while maintaining a positive attitude. 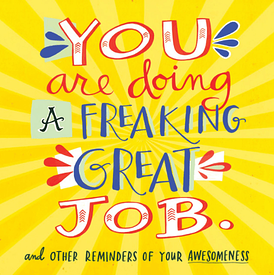 Make this balancing act easier for the rep in your life by giving them this "You Are Doing A Freaking Great Job" calendar. Prospects' eyes glaze over in record time, so the more interesting a salesperson's presentations, the better. Consider upgrading your favorite rep from PowerPoint to a slick presentation tool like Prezi or SlideRocket. While we're on the topic of presentations, how many times have you wanted to call attention to a specific area of your slide, but you couldn't find the dang laser pointer? 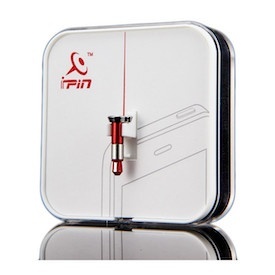 Never be at a loss for that handy red dot again with this tiny iPhone laser pointer plug-in. Bonus: It doubles as a gift for your cat! Looking sharp can do a lot to boost a seller's confidence. But who has time for a trip to the mall? Enter subscription box clothing services such as Trunk Club and Stitch Fix. After entering style preferences and sizing information, stylists will send along a few choice pieces of clothing. Pay only for what you keep. The neck kink you get from sleeping on a plane is never fun. Silly as they may look, a travel pillow is a must for frequent flyers. Your recipient's spine will thank you. And while we're on the topic of travel, showing up to a client meeting with a wrinkled suit is a definite no-no. 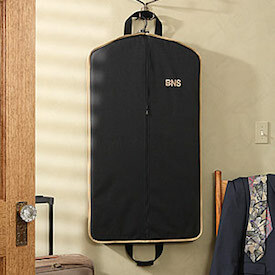 Help a rep look fly while they fly with this suit-sized garment bag. Having your phone, tablet, or laptop die on you is the worst. An external charger will save salespeople the stress of trying to find a Best Buy in Omaha when the ominous red battery bar shows up. Sales is a demanding job. Help the rep in your life de-stress with a subscription to Headspace, a desktop and smartphone app with more than 100 guided meditation sessions. Each session clocks in at roughly 10 minutes, making it easy for your recipient to incorporate some mindfulness into their day. According to the Mayo Clinic, "spending even a few minutes in meditation can restore your calm and inner peace." Noticeable results in a short period of time? Sounds like a rep's dream. In the past, field salespeople relied on taxis, rental cars, and public transportation to get around new places. Now they can use ride-sharing programs. It's often easier and more convenient to request an Uber or Lyft on their phone than try to hail a cab or figure out a foreign transit system, so reps will show up at their appointments feeling calm, cool, and collected. Some people like their milk and sugar with a splash of coffee. This gift isn't for them. 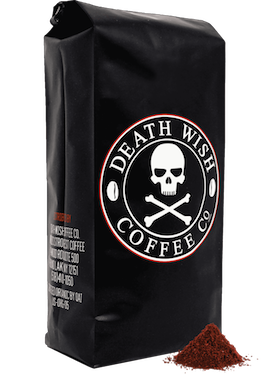 Death Wish Coffee claims its signature roasting process and blend of beans makes its brew "the strongest in the world." 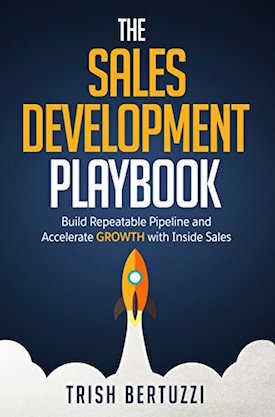 Salespeople will get a (caffeine) kick out of a bag or even a recurring delivery. Whether or not you believe sitting is the new smoking, it's clear too much time hunched over your desk isn't good for you. 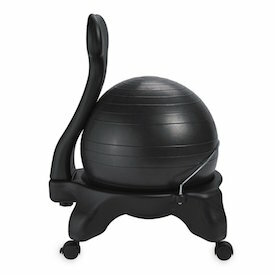 Enter: A balance ball chair. Not only do these chairs help you relieve back, leg, and arm pain, they also encourage better posture and spine alignment. Perhaps the most important item on this list. Do you know someone who could benefit from the product or service the rep sells? Make an introduction. You just put them on their way to making quota in the first quarter of the new year, and nothing is more valuable than that. Sales is a stressful job. Exercise can help your favorite salespeople stay balanced, sane, and healthy. ClassPass is a drop-in system that allows you to try out different styles of exercise class, from yoga to kickboxing, under the same discounted pricing. It's not available in every city, so check their map here. Once they've sweat out those toxins, get them a gift certificate for a massage or two at a local spa. They'll be able to relax and lose some of the stress that comes with selling over the holidays. This gift is a great choice if they enjoy the outdoors or have a green thumb. Pick out a low-maintenance succulent or terrarium to bring the outdoors to their desk. If your salespeople are always traveling, consider getting them a carry-on cocktail kit. They'll have the ingredients they need to make an in-flight cocktail. And it's sure to brighten up their flight and help them relax. A personalized luggage tag is great for the traveling salesperson. They'll keep track of their belongings with style. And after the holiday gift-giving is over, you'll need a relaxing activity for your holiday break -- check out these sales movies next.